For all entrepreneurs (managers & pastors) looking for growth, this seminar is an essential prerequisite! 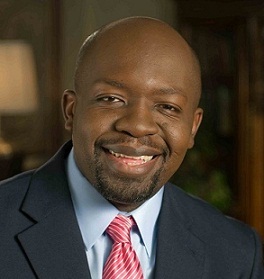 Patrice is the co-founder & Chief Servant Officer of both Nehemiah Project International Ministries and PG & Associates, LLC, which he founded with his wife and best friend, Gina Tsague. He is also the co-founder of Nehemiah Enterprise Coaching as well as Kingdom Business Coaching International. Patrice has trained and coached over 15,000 individuals on how to start or expand their businesses using business training and coaching principles found in the Bible. Patrice is the author of several books and training curriculums. He also publishes a weekly e-devotional and podcast for entrepreneurs and business executives that is released to over 4,000 individuals globally. He also serves on the board of several organizations. Patrice and his wife, Gina, have two beautiful children, Gabrielle and Danielle Tsague and they reside in Vancouver, Washington.